As I walked into our Soccer Academy class, the students were getting ready for their workout and part of that process is to adjust their heart-rate monitors. The teacher, Jesse Symons, had an iPad to monitor the heart rates of all students in the class. As he reviewed the live data, it was interesting to see what he was looking for. As the intensity of the workout increased, he was looking for students who were raising their heart rate to a place where they were pushing themselves. He could review the data of the entire class and see how much time each student spent in each “zone”. Based on a colour scheme, red was the optimal zone for high intensity workouts. Also interesting to see was how quickly students’ heart rates would recover to a resting heart rate during breaks. This, as he pointed out, was usually a sign of strong athleticism, of an athlete who could quickly raise and lower their heart rate. Students who struggle to lower their heart rate (as activities slow down) are often not in as strong a condition. Of course, the next step is for students to understand the data. Students are able to login to see their specific data and, as Jesse joked, the data doesn’t lie. It is early days yet, but there has already been some interesting findings. For example, with Grade 8, high-level soccer players, there was a gender difference with many of the top female athletes not seeing their heart rates push to optimal levels for extended periods of time. 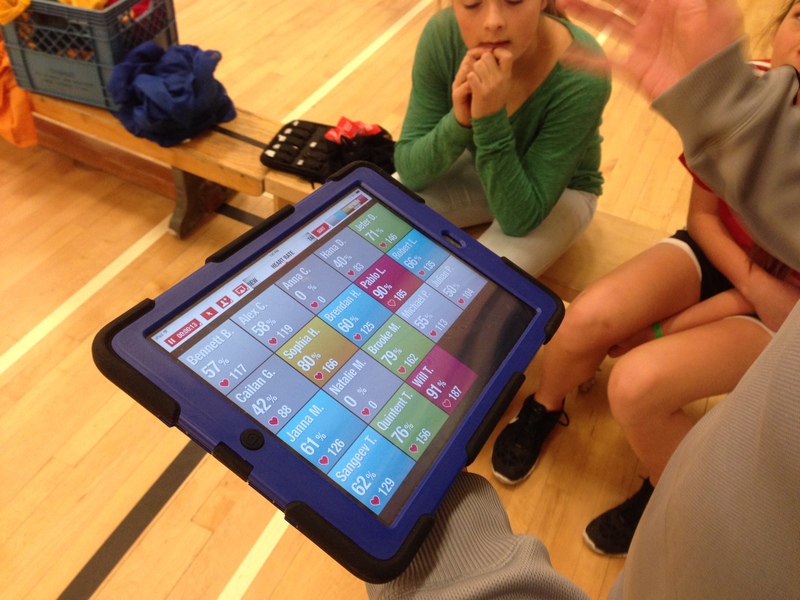 The fitness monitoring in the soccer academies is part of an Innovation Grant Program through the West Vancouver School District, with similar efforts also being made with Hockey Academy students. Jesse talks about how heart rate monitors are being sourced with the Vancouver Whitecaps and the National Team. Combined with a GPS, the monitors give a full picture of their activity levels. It is clearly a growing area in the science of sports and physical activity. Personally, I’ve become convinced of the power of digital health tracking over the past few months since I started wearing my Fitbit. Actually, four of us have similar devices in our house — my wife and two older kids (ages 12 and 10) are also wearing these devices. My Fitbit Force tracks my steps, distance, calories burned, minutes of vigorous activity and even my quality of sleep. There are dozens of these type of devices on the market with many more being promised this year. 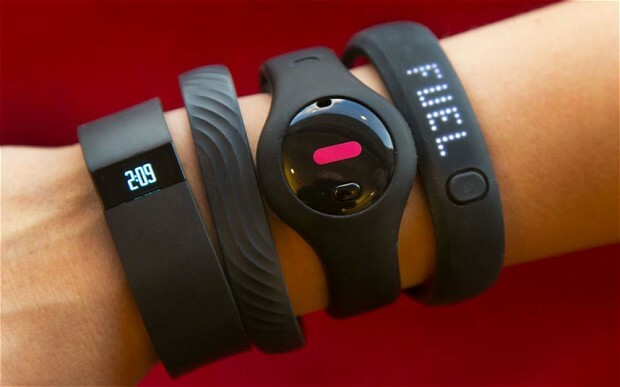 A report last week on wearable tech devices suggests these devices may see a 350 per cent growth in sales in 2014. I also think they have a huge potential to benefit students. For decades we have been encouraging students to keep logs and diaries of their physical activity. Currently, in BC, through the Daily Physical Activity mandate, students track vigorous and sustained activity. Anyone who has tried to keep an activity log is aware of its challenges. Logging the physical activity in a log book, or a computer is difficult to do (if not time-consuming) on a regular basis. On the other hand, if all this data could be automatically collected, synced to our computers, iPhones, etc., we would be able to spend more time analyzing the data, rather than entering it. In our house, we have become much more aware of our physical activity, how much of it is really vigorous and the role that sleep (or lack of it) is playing in our lives. These are great conversations to have in our PE classes. Just as we want students to take greater ownership of their learning in Science and English and we see that technology as part of this overall plan, the same should be true for health education and physical activity. We want students to own their own data, set goals, not in efforts to compete with others, but to better themselves. There are concerns about wearable technology — that these type of devices, as well as others like Google Glasses and Samsung Smart Watches, are once again pushing technology into all aspects of our life. I am always interested in technology when it can help do something we have always wanted to do but have not been able to without it. I see the tracking of our health and physical activity in this category. We want students to own their own learning and education and this includes owning their own physical activity and health. So, we need to find ways to integrate this emerging technology into our schools. Last week I shared Superintendency & Social Networking, a post that was also published in the AASA School Administrator Magazine. I also wrote two smaller pieces for this most recent edition; edited versions are below. I came back to two questions that I get asked frequently – how do you find the time and what tools should one be using. The superintendency is already a completely consuming job, so how can you possibly find the time to invest in social media? These are my suggestions for those looking to add social media to their work routine. Create manageable expectations. Whether it is a blog, Twitter or other tools, be realistic about the commitment you can make to participating in social media. Choose a few tools and use them well. 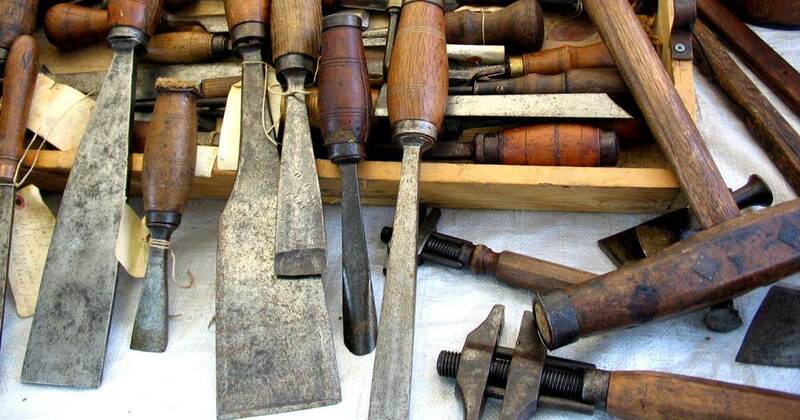 There are thousands of tools available. Select a few and develop a comfort level with them. Start with tools such as YouTube, Facebook or Twitter, all of which are heavily subscribed to by those around you. Block out some time. As you get into a routine, schedule time each week to spend engaging in social media. It might be 15 minutes a few nights a week or some time on Sunday morning, but it needs to become part of your routine. Decide what this will replace. As you start tweeting and blogging, decide what you won’t do and what this will replace. As you engage in social media, some of the more traditional outlets, such as reading newsletters, can be eliminated. Embrace mobility. Be sure people know you want to be contacted, and then ensure you have access to all these tools on your mobile phone, whether it is phoning, texting, tweeting or Facebook use. You want to be mobile so you don’t have to be in the office to be at work. Blog: Consider this your home base for social media and the venue for sharing your ideas on leadership and education practices. My blog is where I share my thinking, and it serves as a great portfolio of the work that has engaged me. Facebook: Often considered more of a personal communication tool, it remains an excellent way to connect to your community. It is still the No. 1 social media tool used by our families, so it functions as a great place to share photos from events and alert the community to upcoming events. SlideShare: This is the place to post all of your PowerPoints so they are easily accessible to educators in your district and elsewhere. No longer do I distribute presentations by e-mail. Rather, I make them all accessible through SlideShare so others can use and share them. Twitter: This is your avenue for connecting to your community 140 characters at a time. Twitter is a wonderful professional learning network, connecting me with colleagues from around the world. YouTube: Short videos of your school visits or records of your speeches now can go online. The use of video is growing, and YouTube is a great place to create a repository of your work. I know these are regular questions for many – I would love to hear other tools that people find as core, and also other strategies people use to find the time. At least, that’s what I argued four years ago when I interviewed for the superintendency. An hour prior to the start of the interview with the board of education trustees, I was given a question. And without hesitation, I was on my computer sharing the question on Twitter. Over the next several minutes, I fielded a dozen responses from my network. There were a few quotable quotes, some links to helpful research on the Internet and a couple of “good luck” wishes. I took their thinking, blended it with my own and put together a presentation. Although the school board might have been curious about what I thought, I figured they were probably more interested in knowing I could find the best thinking, synthesize the ideas, contextualize them for our location and then share them in a thoughtful way — all in a timely manner. Had I attempted this just a year prior, I may have been asked to leave the interview, or even been accused of cheating. It shows how quickly our world is shifting — what might have been considered disingenuous or even cheating a decade ago is now considered effective professional networking. Since that interview, I have only become more reliant on my network, both in the face-to-face form and in the digital world. 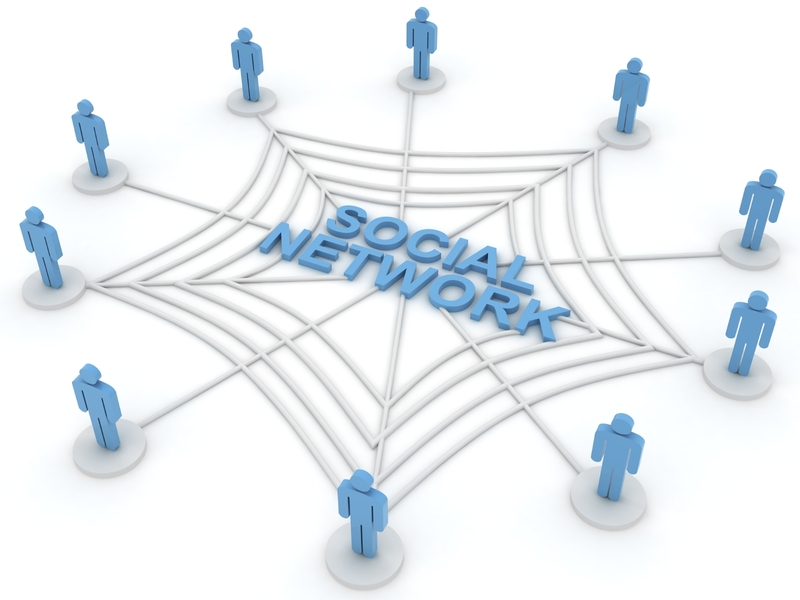 The value of a strong network is nothing new, and social media serves to extend the reach of that network. Now, more than ever, it is not just what you know but who you know. Traditionally, our personal and professional networks included the people with whom we went to high school or college or with whom we work and engage on a daily basis. These networks now extend globally. Social media allows us to build diverse networks with those in similar roles, across different segments of the community that have an interest in education. We not only get to connect with those we agree with but build a network that transcends the echo chamber we sometimes can detect in our daily connections. Certainly, traditional structures where we gather in role-alike groups still exist — there are sessions for teachers, administrators, support staff, parents and the community, and sometimes we bring these groups together. Online, the roles tend to blur, and it is the ideas that become the focus, with the most current thinking and range of views. Tremendous power is available in being able to ask a question and engage so many in the answer. District leaders can (and do) build networks across North America to learn from and with educators, such as Michael Smith, superintendent in Tuscola, Ill.; Pam Moran, superintendent in Albemarle County, Va.; Patrick Larkin, assistant superintendent in Burlington, Mass. ; and the hundreds of other district leaders who publicly share their ideas through social media. We are continually encouraging our teachers and students to embrace digital tools. Leaders have a role to play in modeling their use, as well. We want students to take the risks in their learning and not to be afraid to make a mistake. Increasingly, we want them to engage with the real world, to own their learning and to create content for the digital world. We can help by modeling all of this. True, social media can be daunting for school district leaders — the technology is new, and there are many waiting to pounce on any misstatement. This, though, is the world we want our kids to participate in. What we can do is model the integrity, honesty, compassion and care in this space that we would want all others in our community to show. Our blogs as superintendents can lead to principals blogging, to teachers blogging and to students blogging. Our participation can model for others in our organization the power of the tools and also serve as the example for others to follow. Our participation does model the engagement we want for our communities in the serious issues of teaching and learning and does so in a respectful and appreciative way. District leaders can move (and model) beyond talking about it and start being about it. Admittedly, I find blogging scary. I do it every week, but every time I hit “publish,” I worry I may have committed a spelling mistake for the world to see or said something that will be misconstrued or gotten my facts blatantly wrong. I have been in schools as a student and educator for about 35 years; I can only imagine the stress students must sometimes feel when they put themselves out there publicly — and it is also good for me to understand this. The superintendency often is seen as a role disengaged and detached from the reality of classrooms and schools. Social media can change that perception. I clearly recall one angry parent who came to see me with a concern about a decision made about his child at one of our elementary schools. He explained his situation and ended by saying, “And I trust your opinion on this. I have read your blog and know you have four kids in school, so you obviously understand what it is like to be a parent.” In a way, my blog validated my credibility, not because of anything I had said, but because it helped to make me more real. Social media engagement also allows leaders to keep tabs on what is being said in the community and elsewhere about your school or district. One can follow students, teachers, parents, media, politicians and others and then engage with them. Often, what is in the newspaper tomorrow or the day after is being discussed on social media today. The community wants to know what the superintendent thinks, and blogging lets us do this on our own terms. There are many people who are happy to provide a version of what the superintendent thinks and says. The local news media often paraphrase the remarks of the superintendent, as do union leaders and others in the community. Social media allows us a platform to connect directly with the community to tell our story. Instead of lamenting that our stories are not told factually and fully and that the only news reported is bad news, we can change that — by telling our own stories through social media. The proliferation of social media had led to more public gossiping than ever. By the same token, the use of social media can help us reach our community unfiltered. I know my blog posts — typically two to four a month — influence the watercooler conversations in our schools. When I wanted our district to engage in a conversation about final exams, a blog post on the topic laying out some of the positives and negatives helped guide the conversation. The profile and political nature of our job and the relationship with the school board and government officials all can give pause. I am careful and clear about the areas I discuss in social media and those I don’t. My focus is on teaching and learning. While I spend time discussing budgets and labour contracts with our board, those are issues for them to speak about publicly. While others will gladly say what we believe if we let them, social media does help break down some of the traditional barricades to reaching the people we want to teach. It also can humanize us and allow us to share our thoughts and stories in our own words. Professional learning and development for educators used to be scarce. Educators depended on monthly magazines, professional journals and occasional conferences. Now phenomenal resources are available just one or two clicks away. While school districts’ physical boundaries remain well-defined, when it comes to professional learning, the district geography is blurry and becoming ever-less important. We are finding ways to connect and engage online that have little to do with geography. And just what can you find online? Without question, another superintendent in another school district is wrestling with the same issues you are dealing with. My digital professional network has enhanced my face-to-face network. At last year’s AASA National Conference on Education, I connected with many colleagues I had known only digitally until then. I have found a common trend that I connect with people online and then meet them and then continue online — the combination of both digital and face-to-face connections has made these relationships far stronger than those I know exclusively online or in person. Through Twitter and blogs, I have discovered we can connect with others in the field, solve problems, and open ourselves up to new ideas and learning. Social media opens up opportunities. It gives space to highlight the work in our school districts. Each week I am sharing the best practices and programs I see in our schools — from teachers using inquiry, to students being able to self-regulate to maximize learning, to schools using digital devices. And then we can connect this work across the district and around the world. Being engaged also opens up personal opportunities — from speaking and consulting opportunities to first insight on job openings. Social media means you have the power of your network to bring to any future job. Anyone who sees participation in social media as another demand on an already full schedule hasn’t yet discovered the power that participation can have. None of us is truly too busy to blog, tweet or otherwise engage in social media. If we aren’t doing it, we just haven’t yet realized why it should be a priority. West Vancouver is a school district of just over 7,000 students in British Columbia, Canada. But through involvement and engagement of our staff in social media, we are known around the world.